London Waterloo two tier bicycle parking system. 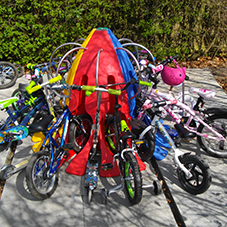 Cyclepods were chosen by South West Train to provide additional cycle storage for London Waterloo Station, the country’s busiest rail station. 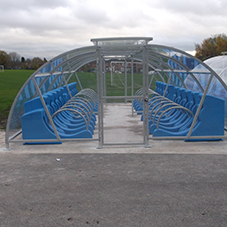 As the main contractor Cyclepods were responsible for the design, systemisation and installation. 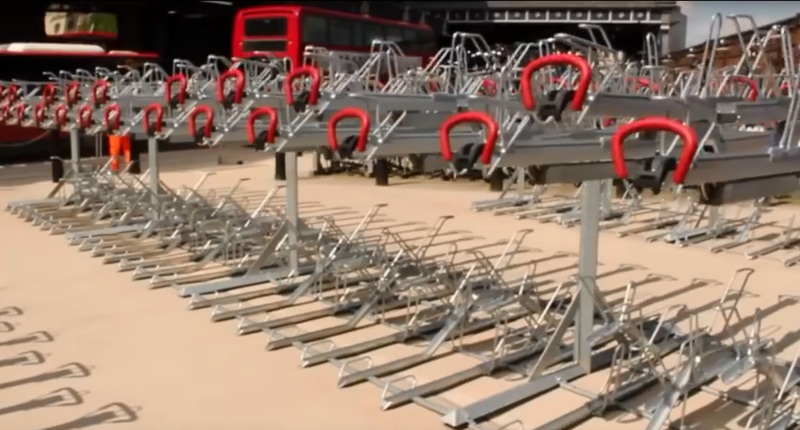 The storage solution chosen was their two-tier bike racks, the Easylift. 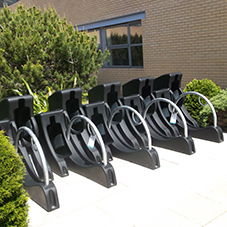 This provided Waterloo with 330 new secure cycle parking spaces. 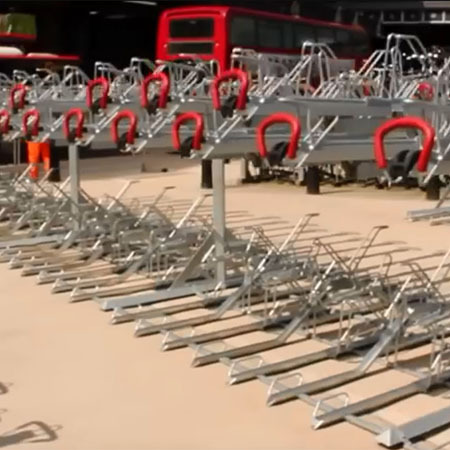 The gas-assisted lifting system ensures bicycles can be parked on the top level easily. The end of the light-weight aluminium groove rests on the ground so that the bicycle can simply be wheeled onto it.